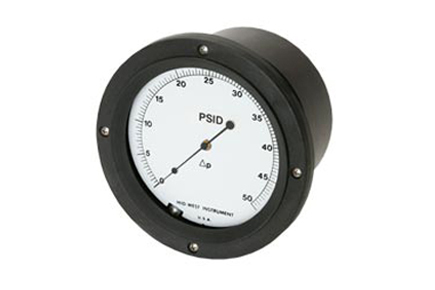 The low range capability of the Mid-West Model 130 is ideally suited for flow, liquid level and vacuum applications. Magnetic coupling between the sensing element and the indicating pointer provides for complete isolation of the process fluid within the pressure capsule. The few internal metal parts are 316L Stainless Steel.